Impact M Counter Scale is METTLER TOLEDO’S newest, most advanced scale in its class. 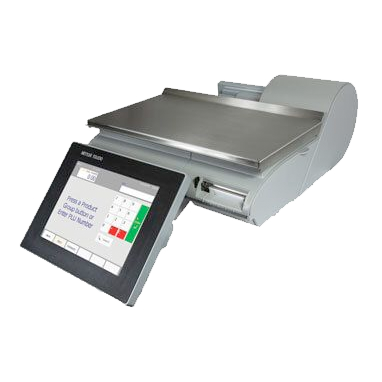 For users of our previous, best-selling UC-ST counter scale, this is a product evolution with real substance: The improvements made in the fully featured Impact M will enhance weighing, labeling, and merchandising in any department. And best of all, it integrates easily into your existing network. If you’ve never used a METTLER TOLEDO counter scale, you’ll be impressed with the Impact M’s durability, flexibility, and ease of use. It’s designed for easy certification and years of constant use. The Impact M’s large, full-color, backlit display is configurable so you can show more presets and additional options (for manual overrides, quick data editing, and more). And the interface is all touch so it’s easy to clean and allows for maximum usability. The user interface was designed with input from customers and usability experts to provide an easy, yet familiar, experience. It’s a big step forward. Multi-interval weighing saves several cents on every tare-based transaction – saving thousands of dollars per year with each scale. The modern, easy-to-use 10.4-inch color interface enhances staff productivity through easy access to thousands of preset PLUs, along with direct entry of PLUs for fast retrieval. Share more information at the counter and drive sales with a large customer display capable of presenting images, frequent shopping prices, store brand promotions, and other information. Description The most advanced counter scale in its class with a 10.4 inch color touchscreen and large label roll capacity.